In a lot of ways, bringing a new puppy home is not that much different to bringing home a new baby. Both are infants that are completely dependent on you for their survival, and both will inevitably involve a significant amount of mess, chaos, and even frustration as you and your new arrival get used to each other and settle into a workable routine. Buying or adopting a puppy should never be an impulse decision, so you should always have ample time Preparing Your Home for a Puppy to arrive. The more time and effort you put into getting your home ready for your new family member, the smoother the transition will be and the more you'll be able to enjoy this exciting time, that is welcoming a new puppy. Read on for ten easy yet essential steps to take to prepare your house for a new puppy, along with other essential top tips for new puppies to get your new relationship off to the right start. It is essential that you clean and tidy your home before inviting a puppy to share your space with you. If you think your home is already perfectly puppy proof, get down on the floor at your new puppy's level and look at everything from their eyes. The floor must be clean and bare. Any small items on the floor can and will be picked up and chewed by your puppy, so if you don't want that paperclip in the dog's mouth, get it off the floor before they arrive. Electrical cords, curtain cords, vermin traps, and chemicals can be deadly to a puppy and must be safely stowed away. Glasses, ornaments, and other breakable treasures are easy prey for a puppy's inquisitive nature, so it's time to put these items away: at least for the time being. There will inevitably be some areas of your home that will always be off limits to your new dog. During the training process, you can teach your growing dog to stay out of off-limits areas, whether that be bedrooms, bathrooms, the kitchen, or the entrance hall. Until they've had a chance to learn, however, baby gates are the perfect solution. Choose baby gates for your puppy the same way you would for a human baby. Gates and fences should pass relevant safety tests, latch securely, provide easy one-handed opening for adults, and allow easy visibility. If you have stairs in your home, baby gates are the perfect solution until your dog is old enough to learn to navigate the stairs safely. Before your puppy arrives, get used to the idea that a one-off clean-up is not going to be enough: you're going to have to change some of your habits to protect your puppy and your sanity. Regardless of breed, almost all puppies can't resist the temptation to investigate unfamiliar items. This means that if you leave a handbag, a grocery bag, backpack, or any other interesting item on the floor, your puppy will very quickly have their nose in it: and most will soon begin pulling all the contents out. Start now to get into the habit of keeping things off the floor. If your puppy will have access to the entrance hall, you'll need to find a way of getting your shoes onto a shoe rack out of your puppy's reach, or else store them in your closet. 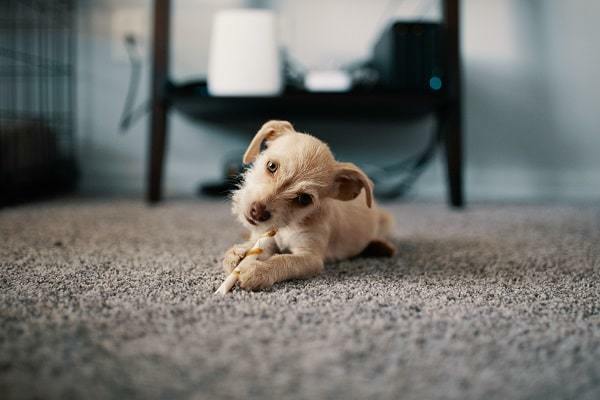 Puppies have an insatiable desire to chew, and this can mean furniture that you purchased prior to getting your new puppy can be destroyed in as little as a few weeks. The good news is that for the vast majority of dogs the chewing phase only lasts while the puppy is teething, but that doesn't mean you should underestimate the amount of damage those sharp all teeth can do in the meantime. To get your furniture through the teething and chewing stage, consider wrapping foam or rags around chair and table legs, particularly couches with soft furnishings and anything wooden. Cut-up segments of pool noodles, to create an inexpensive short-term solution to protecting your furniture legs and door edges. 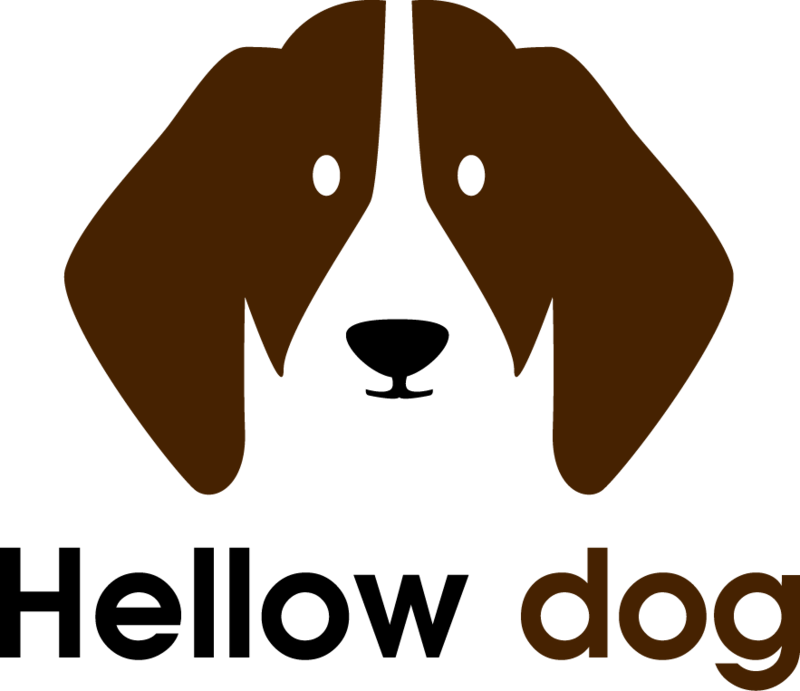 Of course, provide your puppy with plenty of toys that they are allowed to chew, making sure that any toys you provide your dog are durable, non-toxic, and an appropriate size for your dog breed. The collar and leash you first use will only last a little while, as your puppy will continue to grow at an alarming rate in that first year. But you still need to make sure that you have an appropriately sized, soft yet sturdy collar for your new puppy and be sure to put it on them as soon as you get them home so that they can get used to wearing a collar. Similarly, have ID tags made before you get your new puppy home, or as soon as possible afterward if you haven't yet decided on their name. While you won't be able to take your puppy out walking and socializing until they've had all their vaccinations, an ID tag is imperative in the unfortunate event that your puppy gets away from you. Toy dog breeds can benefit from using a harness rather than a collar, which distributes the pressure that would otherwise have been on the neck over their entire upper body. Whatever you're planning on using throughout your dog's life and especially while they're being trained, get them used to it soon after you get them home. Have food and water bowls set up and ready to go before you bring your puppy home. Puppies tend to make a big mess at mealtimes, but you can reduce the incidence of this happening by using heavy stainless steel or ceramic bowls which are harder to knock over and will discourage chewing. For long-eared dogs, choose bowls with tapered edges so that their ears don't automatically dip into the bowl while they're feeding or drinking. It is a good idea to plan ahead of time, so you know what your puppy will be eating for the first few months. If you're buying your puppy from a breeder, find out in advance what food your puppy has been having and ask them to provide you with a couple of meal's worth when you pick up your puppy. A sudden change in diet can cause stomach upsets for a dog of any age and is of particular concern for very young puppies. Continue feeding your puppy with the food that they're used to, then slowly taper it off and introduce the food you intend to use long-term. Make the process of transitioning from one food to the other as long as possible to minimize the chances of digestive upsets. Where is your puppy going to be sleeping? Some people start their puppies out in a small, tiled room like a bathroom or laundry, particularly while the puppy is not yet toilet trained. For other people, keeping the puppy in a crate in someone's bedroom is the better choice. If you do choose a small tiled room, make sure that the climate is suitable and that you have fastidiously puppy-proofed the room before you leave your puppy in there overnight. Your puppy's sleeping area is also a suitable place for them to go if you have to leave them alone during the day, or if you need a safe place to put them for some time out or if you are entertaining guests. Toilet training begins the moment you bring your new puppy home. In fact, it should begin slightly before that. Encourage your puppy to go to the bathroom before you get in the car to come home for the first time. This may mean waiting outside with them until they go, then quickly putting them in the car – either on someone's lap or crated and securely fastened with a seatbelt. Although it might be tempting to let your puppy explore your house as soon as you get home, the very first thing you need to do once you arrive home is to show your puppy where their designated bathroom area is. Take them straight to whatever area they are going to be using as a toilet. If you have a backyard, the first thing they should do when they get home is be allowed to sniff around outside until they finally go. If you're using puppy training pads indoors, the same rule applies. Only after your puppy has gone to the toilet in the appropriate place should they be allowed to explore your house and be taken to their sleeping and play areas. By starting the process as soon as you get home, you'll be making toilet training a lot easier on yourself – and your puppy – by setting them up to understand where it is you expect them to go to the bathroom. And remember: every time your puppy goes to the bathroom in the correct place, give them plenty of praise, so they know they've done the right thing. If possible, arrange to bring home your puppy at a time when you will be home for at least the next 24 hours. The start of a holiday weekend would be a perfect time, giving you and your puppy plenty of time to get to know each other in a relaxed environment. Those first 24-hours in their forever home can be a scary and exciting time for any new puppy. Puppies need routine, gentle voices, and lots of love and affection – but also regular short periods of time to be by themselves. 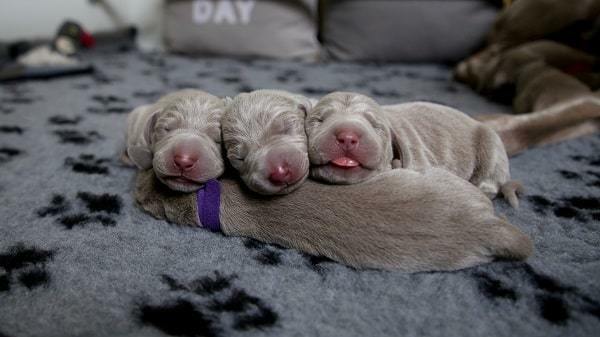 Your puppy won't see you as family just yet, and may still be missing their littermates or even their mother. By setting aside time to be with your puppy in those first few days, you will help them understand that you are their new family and that they have a safe, comfortable home with you. 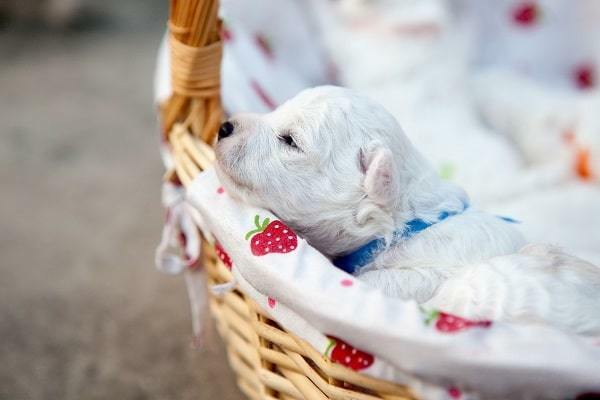 When you take the appropriate steps to prepare your home for a new puppy, you'll be making the process a lot easier and less stressful on yourself while ensuring that your puppy has a safe place to live. From the point of view of your puppy, however, these preparations are secondary. What your puppy really want is to spend time with you. If possible, plan to include your puppy in your life as much as you can by allowing them access to areas where you normally spend time. For example, even if you don't want pets up on the furniture, consider having a dog bed or crate in the corner of the living room so your dog can be with you while you relax each evening. By planning and preparing ahead of time, you can make your new puppy's transition to a part of your forever family a smooth, stress-free process.